When a childhood friend's sister asks you to plan their engagement party, you scream YES! Gabrielle + Dan already had the venue, Le Club Avenue in Long Branch, NJ, booked when we came on board. 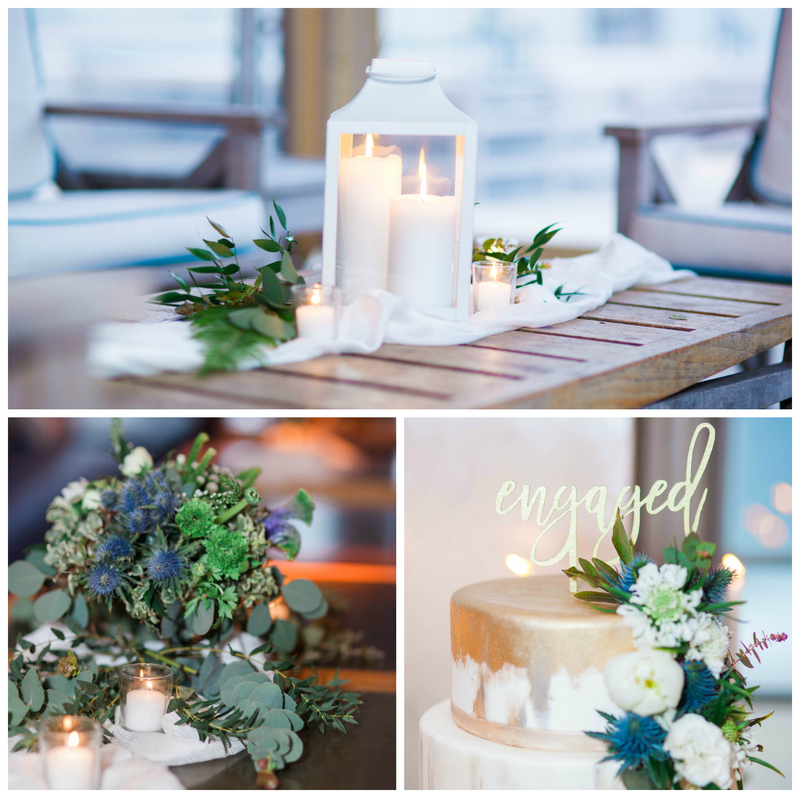 The event space featured french blue couches and modern yet minimalistic details. We took the space's ambiance and ran with it. Dusty blues, whites, vintage brass accents + a ton of greenery were the focus of all the details. 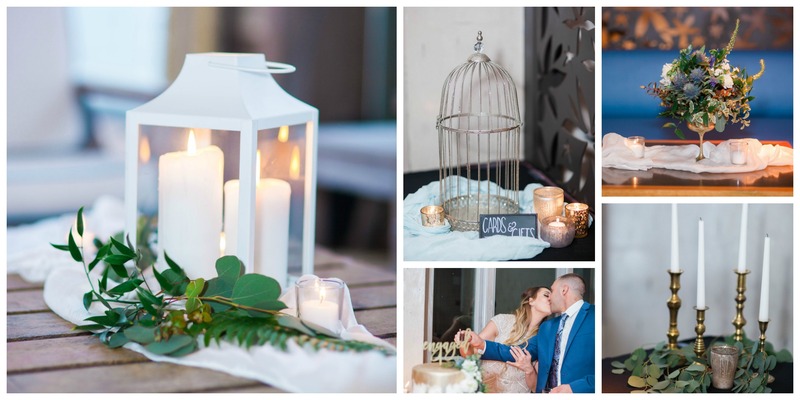 The antique brass candle holders and wine glasses were the perfect accents to the overall vintage feel of the event. Eucalyptus, peonies, blue supernova thistle, and huckleberry were some of the flowers and foliage arranged in the brass wine glasses for table decor. Here are some useful do's and don'ts for your own engagement party! * Enjoy the engagement, but don't wait too long to plan the party! Guests tend to be less excited when attending an engagement party after 6 months of being engaged. * Decide who is hosting or designate roles. In the old days, the bride's parents hosted the engagement party but today anyone close to the couple to take on this role. In some cases, both sets of parents host together. If that's not in the cards, maybe one set of parents will cover the food or flowers and the couple may even take on some tasks. Just make sure the roles are clear so no one is stepping on anyone's toes! * Assign day-of duties. If you don't have the luxury of hiring an event planner, take advantage of your family and friends to make the day run smoothly. Assign someone to collect gifts and someone to take photos if you don't have a photographer! * Invite everyone you plan on inviting to the wedding. The engagement party should be more intimate. Try not to extend the invitation to the parents' co-workers, friends you haven't seen in 5 years or your cousin's new girlfriend. Keep the guest list to immediate family and close friends. This allows the couple to interact with everyone there and not saying hello to everyone the entire night (save that for the wedding!). * Overspend. 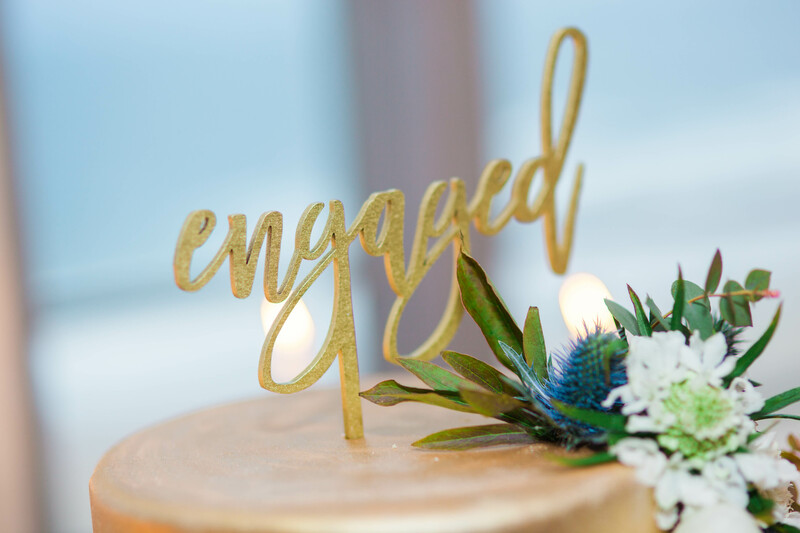 Make sure you prioritize what you really want for your engagement party. It is the first of many wedding-related events. We recommend splurging on music and a photographer. Don't overspend or stress too much on the small details; you are the only one who will really remember what color napkins you had! * Serve the same food that you plan on serving at your wedding. Typically, engagement parties utilize buffets or passed hors d'oeuvres. Don't make the menu too formal and keep it different from what you will serve at the wedding! No matter what, you are going to enjoy your engagement party. A little bit of careful planning will ensure that the day runs smoothly and you are free to relax and have a good time.